4 Corner IT offers premium IT services for Miami businesses. We understand how to implement and manage these services, guaranteeing effective and efficient operation to sustain your business’ continuity. We offer full equipment monitoring, remote support, and frequent onsite hardware maintenance visits to fully support your business. Our IT Services include Office 365 VoIP Integration, CRM Integration, and Disaster Recovery, among others. Browse through all of our IT services to see the wide array of IT Support & Services we can offer your business. 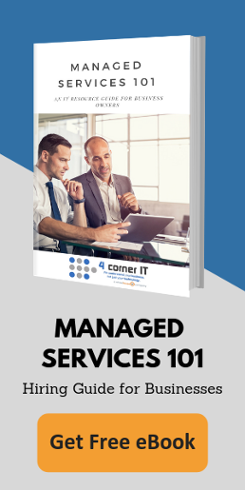 At 4 Corner IT, we strive to make our implementations smooth and effective for your business – specializing in a wide range of IT Services. In South Florida, an MSP is essential to keeping vital business processes running smoothly.